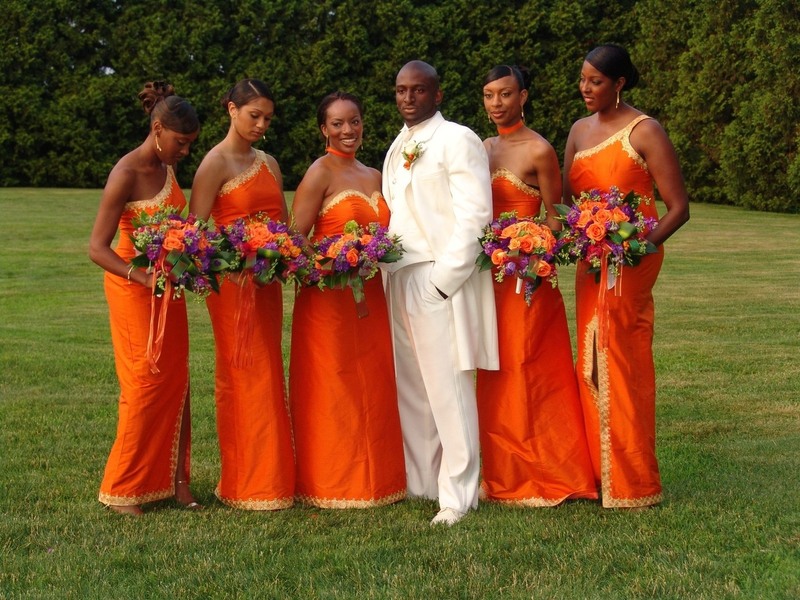 Interested in having an afro-centered wedding? Well, then, don’t worry,because we are here to help. The good thing about this option is the variety cultures you can pick from; the bad thing is selecting one from that impressively wide scope. Ever heard of the traditional wedding? One of the common occurrences in today’s weddings is hosting two ceremonies: the traditional wedding and sometime later (it could be days or even weeks after) the modern wedding (fun fact: in Nigeria, it is called the ‘white wedding’). While it may vary with culture and country, it is still something that is quite popular in Africa. In Ghana, for example, the wedding ceremony comprises three steps: the ‘knocking’, what many call the interview and the actual wedding ceremony as we know it. If you find the traditional wedding too elaborate for your taste, it is possible to just have a dinner where the two families meet. Since that was the original goal of the traditional weddings, you will be following culture to a certain degree. But if you are not interested in the traditional wedding, you can choose not to have it. It is your day, after all. How do I throw an awesome African-inspired wedding? When you choose to do this, the goal is for your guests – along with the two of you – to enjoy the experience. So, first of all, you have to put everyone in the mood. Use African décor. The cards should, if possible be of African design. The table cloth, flowers and other décor should also be of the same theme. If possible, include some African art pieces as these are especially helpful in setting the mood. The cuisine should also be African. In this case, do your best to include the popular foods from the culture you are using as an inspiration. Cocoyam, Ndole and Achu for Cameroon; Irio, Sukuma wiki and Wali wa Nazi for Kenya. Remember: complete African experience. The cake could be one of your choosing and, to make things better, you could pick an African design for it. There are quite a number available for your choosing on the internet. options available: you could put on the complete African traditional wedding attire, the modern African gowns (as the name suggests, these are a lovely fusion of African and Western designs) or the traditional western look. Though, since your wedding is to be afro-inspired, either of the first two options would be a better choice. And finally, regarding entertainment, there are a number of options to pick from. You could hire dancers as there are many African cultures with marriage dances. For example, the Tiv people from Nigeria and Cameroon have the Kwasekuhan dance. But kindly ensure the dance you have picked is actually one for a marriage (unless, of course, you are fine with a funeral dance…). This is one source of entertainment that is sure to keep all of you entertained for a bit. You could also set up a photo booth with an African background. Your guests will love it! Just make sure all of you get the full African-wedding experience. If done right, it will be something to remember.